My interest in this area relates to my wish to consider the ethics of medical practice. In this instance, my interest is in public transparency of any financial transactions between healthcare workers/academics and wider commerce. I should make it very clear: I understand that conflicts of interest are part of life. 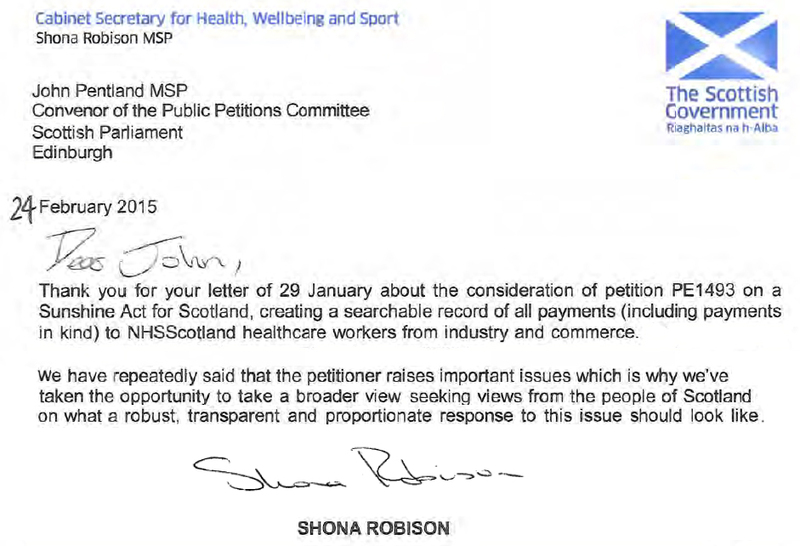 My petition to the Scottish Government for A Sunshine Act is a request that transparency surrounding (non NHS) financial payments made to all those involved in healthcare (including academics and all those involved in medical education) to be a requirement by statute. In terms of the United Kingdom, I have suggested that Scotland might lead the way on this. America and France have introduced a Sunshine Act. NHS Scotland has failed (in my view, most miserably) to follow Scottish Government guidance HDL 62. This Government Circular was issued to all NHS Scotland Chief Executives over a decade ago. The Scottish Government has, since my petition which was based on my research, accepted widespread failure across NHS Scotland to follow HDL 62. Perhaps the Cabinet Secretary for Health, Wellbeing and Sport, will look upwards to the roof of the Corn Exchange which is celebrated for its “massive single-span”. Sponsored Medical Education also celebrates a massive span across NHS Scotland. Please do not be fooled into thinking that this, like the Corn Exchange and the bartering it once housed, may be a thing of the past. So go on, if you dare, be like me and shout about this from the roof-top! If we reach for the sunshine perhaps we might all be a little healthier. 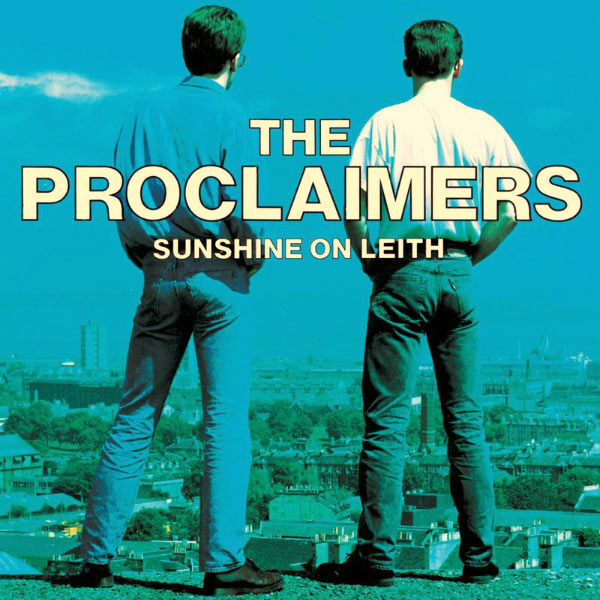 Sunshine on Leith!